Residence parks and other neighborhoods in San Francisco's West of Twin Peaks area. San Francisco's West of Twin Peaks neighborhoods include Balboa Terrace, Forest Hill, Forest Knolls, Midtown Terrace, Mount Davidson Manor, Sherwood Forest, St. Francis Wood, West Portal, Westwood Highlands, and Westwood Park. In 1910, twelve years after the death of Adolph Sutro, his heirs hired the real estate firm of Baldwin & Howell to appraise his vast land holdings in San Francisco. Part of the estate was a section of the old Mexican land grant, Rancho San Miguel, in the geographic center of the city. Sutro bought this land ranging from the Inner Sunset south to beyond Mount Davidson in 1880, and proceeded to cover much of it with a forest of eucalyptus trees. After completing the survey, A. S. Baldwin organized a company to purchase the rancho lands for the creation of master-planned housing developments. The city’s Twin Peaks Tunnel streetcar project coincided with the plans of Baldwin’s new Residential Development Company. The Municipal Railway would open up the land “West of Twin Peaks” with streetcar lines, and the Residential Development Company would sell tracts of land to companies interested in creating high-end homes for new residents. The early developments struggled to find buyers while the Twin Peaks Tunnel was delayed and World War I put restrictions on building materials. Finally, the tunnel opened and streetcar service began on February 3, 1918. The economic prosperity of the 1920s spurred the growth of the West of Twin Peaks area and new residence parks—Balboa Terrace, Mount Davidson Manor, Westwood Park, Westwood Highlands, Monterey Heights, Sherwood Forest, and Miraloma Park—were established and prospered. By 1924 the assessed valuation of the West of Twin Peaks area had risen by $4,000,000. These neighborhoods have housed doctors, lawyers, and some of the city's wealthiest and most powerful citizens: mayors, baseball stars, and corporate leaders. Strong neighborhood associations maintained the beauty and architectural integrity of these residence parks, at the same time limiting ownership opportunities in the early years with racist housing covenants and profiling. 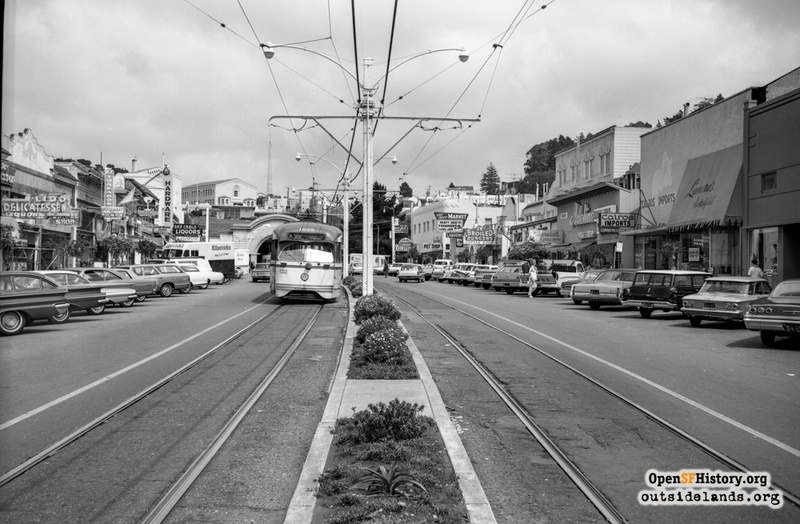 Later 1950s and 1960s developments around Twin Peaks and Mount Sutro—Midtown Terrace and Forest Knolls—marketed to more middle-class buyers, but till featured undulating street plans and terraced view lots. Racial diversity (if not economic diversity) finally came to West of Twin Peaks, and these neighborhoods, these “garden communities,” are still some of the most highly sought addresses in San Francisco.